Software asset management (SAM) software is used to document and manage the software tools used by a business. Companies use SAM software for a variety of reasons, including tracking costs, maintaining patches, and managing policy enforcement. Many businesses use SAM tools to ensure their software is secure and their sensitive information storage policies remain compliant. In addition to building a software inventory system, SAM software helps businesses manage their software deployments, licenses, and usage. SAM tools share similarities with a few solutions that also manage and track technology assets, including IT asset management software, SaaS spend management software, and digital asset management software. But while these tools offer similar functionality, they are all designed for different assets such as cloud-based applications, endpoints, and digital content. Software Asset Management reviews by real, verified users. Find unbiased ratings on user satisfaction, features, and price based on the most reviews available anywhere. ServiceNow applications automate, predict, digitize and optimize business processes and tasks, across IT, Customer Service, Security Operations and Human Resources, creating a better experience for employees and customers while transforming enterprise. From self-service technologies for mobile and desktop users through to intelligent software license allocation in complex datacenter environments and automated approval and procurement processes, Snow Software put solutions at the center of the organization, empowering all types of IT stakeholders to maximize their productivity and contribution without introducing unacceptable costs or risks, ensuring that every penny invested in technology to support business operations is money well-spent. Some call it Software Asset Management, Cloud Spend Management, Enterprise Mobility Management, Unified Device Management or even just license compliance. VMware Software Manager is a free product that dramatically simplifies the download of VMware suites and products. Aspera SmartTrack gives company a fresh, actionable perspective on software assets, license position and future investments. Aspera's SAM solution helps to evaluate audit risks and savings potential. AWS License Manager makes it easier to manage licenses in AWS and on-premises servers from software vendors such as Microsoft, SAP, Oracle, and IBM. AWS License Manager lets administrators create customized licensing rules that emulate the terms of their licensing agreements, and then enforces these rules when an instance of EC2 gets launched. 1E empowers the world's organizations to simplify and speed up the complete software lifecycle, from request to delivery, management, retirement and procurement of software. In the digital age, businesses must rapidly create new opportunities and for that they need fast, agile IT. Through its suite of easy to use, fast and secure tools, 1E automates each stage of the software lifecycle, providing consumer grade self-service with enterprise grade governance. Altair Monitor is a software license-tracking tool providing current and historical software license utilization for multi-site environments. Gives enterprises a structured way to maintain application, technology and project information. An extension pack for ARIS Architect and Designer. AssetLabs Streamline is a license management software that streamlines audits an entire organization's software licenses by Normalizing, categorizing, and automatically identifying license types using your SCCM or other inventory data. AssetStudio for Cloud is a cloud management software that provides visibility of software being delivered via the cloud regardless of SaaS, PaaS or IaaS. Bintray offers developers the way to publish and consume commercial and OSS software releases. It helps customers to distribute software packages or downloading ones, sharing and getting software packages. Centilytics is a cloud management, governance, and optimization solution that enables businesses and organizations to fully manage their entire cloud infrastructure, apps, and processes. With a comprehensive, all-in-one management platform, Centilytics delivers total visibility and then gives users the capability to go granular, deriving intelligence and insights from every aspect per accounts, services, regions, resource tags, and more that they can use to drive their business forward. Centilytics comes with powerful and fully customizable reports that deliver detailed analysis of cloud usage, costs, and other critical data. Resource allocation capabilities show users how to fully optimize their resource utilization while lowering costs. Cloud health monitor gives users the ability to closely follow the health level of their cloud infrastructure and ensure that they remain compliant with prevailing standards for cloud security, performance, and fault tolerance. Get accurate, real-time results of international denied party screenings on demand with the Watch List Screening Mobile App. 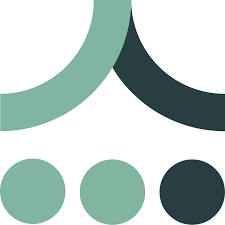 The user-friendly interface enables the user to check all individuals, businesses and countries involved in a transaction against government restricted, denied or prohibited party lists. Eracent provides IT asset management and software asset management (SAM) solutions for enterprise customers. In today’s ever-demanding world of 24x7 global operations, business requirements are getting increasingly complex. Limited budgets are compelling enterprise IT functions to reduce costs while still maintaining high performing IT operations. CIOs and service providers are looking for solutions that leverage today’s technologies such as Analytics, Automation and Mobility to improve productivity, ensure compliance & control and deliver high customer satisfaction on a 24x7 basis. Symphony SUMMIT aims to help CIOs deal with today’s challenges. Our flagship product, the SUMMIT ITSM platform, is an advanced, ITIL 2011 certified solution that unifies key applications across Service Management, Asset Management, Availability Management and Project Management in one single suite. We are a trusted, full-service IT supplier, providing solutions ranging from storage and networking to printing and consumables. Our team of IT specialists are well known for their fast and flexible approach - and for providing sound advice about product selection. LAMUM is a comprehensive software asset management tool for consolidating all engineering software products, licenses, and vendor information while providing complete current and historical usage information. The Lime License Manager is our focused approach to assisting customers in Oracle Licensing based on the ISO 19770 Standard for Software Asset Management. ObjectLock LockIT is a powerful and flexible C++ based license manager. 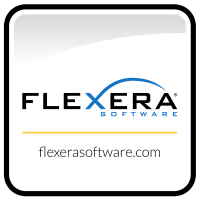 Mirrakey provides a simple-to-use Software Licensing Key system that is powerful and flexible. As as software developer, you can easily integrate Mirrakey into your development project to provide instant License Key validation. 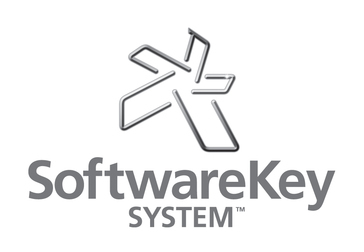 You can also use Mirrakey's built-in License Key Manager to save and retrieve your software's registration information or, if you prefer, you can handle your own Key management. This makes Mirrakey powerful, simple-to-use and flexible. To learn more see a Developer's Overview. Mirrakey is an ActiveX DLL and supports any development environment that is COM (Component Object Model) compliant. The installation of Mirrakey includes comprehensive sample programs in Visual Basic 6, Visual Basic.Net and Visual Web Developer (ASP.Net). The sample programs include explanatory comments and show all of Mirrakey's methods and properties. Mirrakey is also flexible enough to allow you to select one or more of three properties (ProductName, SerialNo and UserName) to generate your software's license key. You can also 'turn-on" or "turn-off" features in your software by setting one or more of the eight options available. Nalpeiron's flexible and modern License Management and Software Analytics Cloud enables Enterprise Software and IOT Hardware manufacturers to grow revenues. Provance® IT Asset Management for Microsoft® System Center provides powerful IT Asset Life Cycle Management and Software Asset Management that drives down IT costs, increases service management efficiency, and reduces risk. Supporting ITIL®, Provance strengthens IT effectiveness at every level of the Microsoft Core Infrastructure Optimization model. Hi there! Can I help you find the best Software Asset Management solutions?